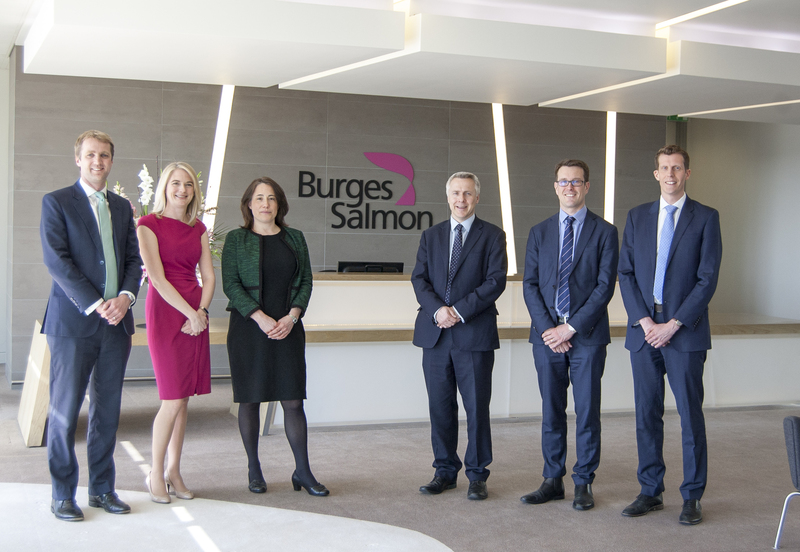 Bristol-headquartered national law firm Burges Salmon has made five promotions in a move it says reflects its continued growth in key areas including pensions disputes, banking, rail, corporate finance and real estate disputes. Suzanne Padmore becomes a partner in the firm’s pensions disputes team. Suzanne specialises in pensions disputes, pensions regulatory investigations, professional negligence and judicial review relating to pensions. A rail sector specialist in the firm’s projects department, new partner Chris Simms joined Burges Salmon in 2017 from his previous role as the head of legal and compliance at European public transport operator Abellio. Prior to this, he spent five years as an in-house legal adviser at the Office of Rail and Road. Chris has extensive experience of advising on complex rail infrastructure projects and the rail regulatory framework. Katie Allen becomes a partner in the banking team having trained with the firm. Katie is a specialist in real estate finance and hotel finance and acts for both lenders (clearing and investment banks and debt funds) and borrowers on both syndicated and bilateral loans. A new partner in the firm’s corporate finance team, Tim Redman has more than 10 years’ experience across the full range of corporate transactional and advisory work. Tim advises clients across a broad range of sectors and has a particular focus on infrastructure transactions. Chris Preston becomes a partner in the firm’s real estate disputes team. He acts for clients across all sectors on contentious and risk management issues relating to their real estate portfolios. Chris has particular experience and expertise in acting for real estate development and retail clients, and also regularly acts for landowners on telecoms issues. All the promotions are effective from May 1. Burges Salmon managing partner Roger Bull said: “We are fiercely proud of our independence at Burges Salmon. One of the key benefits of our strategy is that it provides us with the chance to invest in our firm’s future by giving our people genuine opportunities for career progression, and by allowing us to promote extremely talented people. Burges Salmon employs around 750 people in its Bristol headquarters and London office.